The head of the Israel Defense Forces said on Tuesday that Hezbollah’s military commander in Syria, Mustafa Badreddine, was killed by his own men last year. “This shows the level of [Hezbollah’s] viciousness,” Chief of Staff Gadi Eisenkot said. 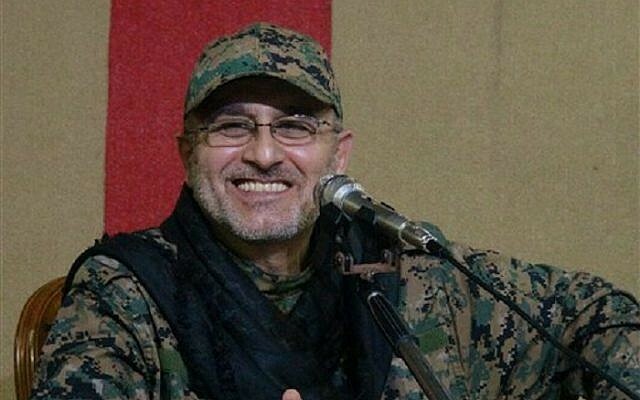 On May 10, 2016, Badreddine was killed in a mysterious explosion near Damascus shortly after a meeting with his commanders, according to Lebanese media. 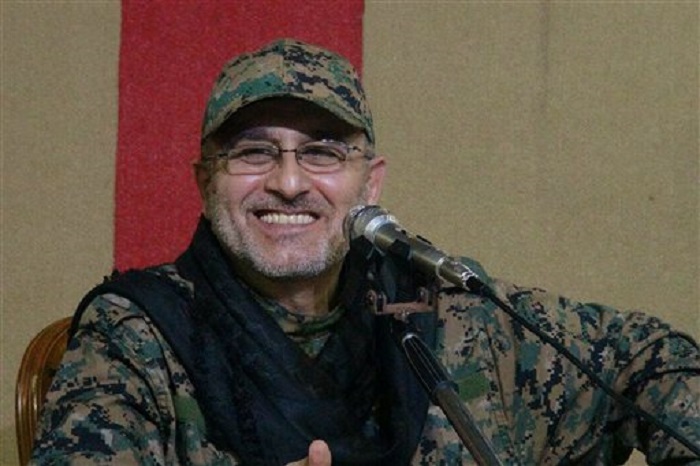 “According to preliminary information, a large explosion targeted one of our positions near Damascus international airport, killing our brother, commander Mustafa Badreddine, and wounding others,” Hezbollah said at the time. At the time, Badreddine commanded Hezbollah’s forces in Syria, fighting alongside Syrian President Bashar Assad’s troops. The terrorist group reportedly told journalists not to attribute the attack to Israel and announced that it would launch a full investigation into the blast. In the weeks that followed, Hezbollah blamed Syrian rebels on the attack. Others have since accused the United States of killing the Hezbollah commander. Eisenkot is not the first to blame Hezbollah for killing Badereddine. Earlier this month, the Saudi-owned Al-Arabiya news outlet also made the claim. According to Eisenkot, Badreddine’s own commanders were the ones responsible for the explosion that killed him. 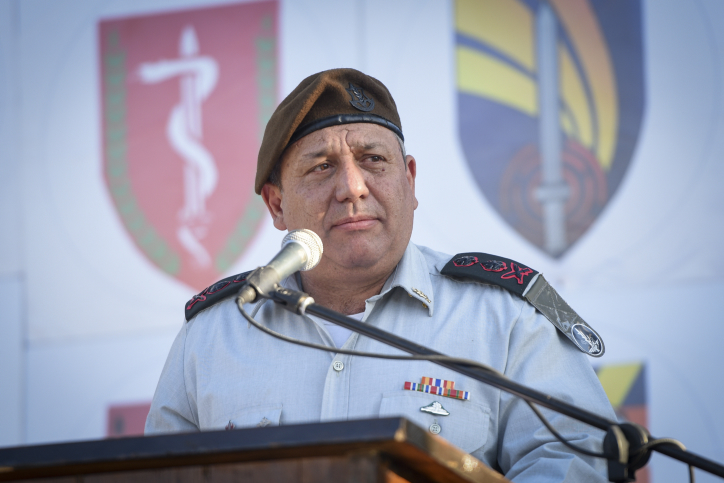 The IDF chief did not say what he based the information on. 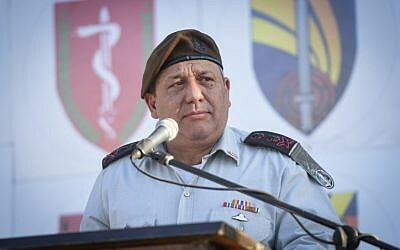 Eisenkot was speaking at a conference at the Netanya Academic College in honor of former Mossad head Meir Dagan, who died last year. During his speech, the military chief said Hezbollah, a Lebanon-based Shiite terror group funded by Iran, was the biggest threat to Israel’s security. 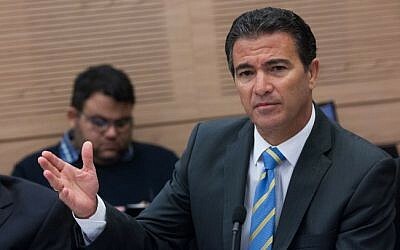 Yossi Cohen, the current head of the Mossad, meanwhile, ranked Iran itself as Israel’s principal enemy. “As long as the ayatollah regime exists — with or without a nuclear deal — Iran will continue to be the biggest challenge to Israel and to the Mossad,” the head of the clandestine agency said. 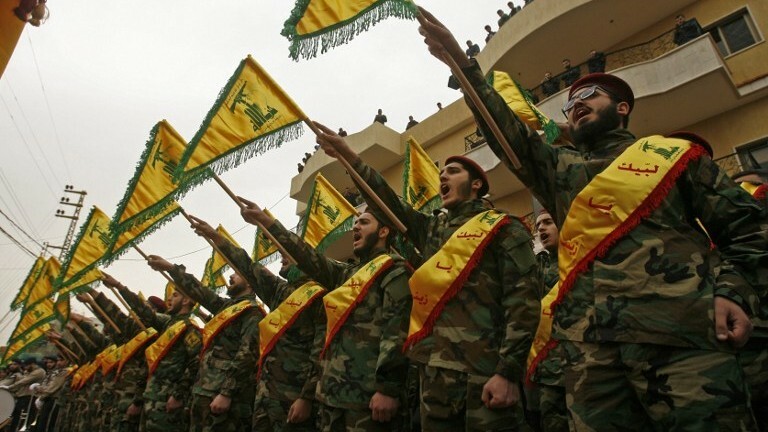 Eisenkot said that while Hezbollah had lost a significant number of its fighters in the Syrian civil war, it had gained considerable experience and training from the conventional militaries there. During an interview last month in Lebanon, a Hezbollah fighter told Middle East Eye: “We are definitely learning a lot by working with Russians and Iranians in the Syria war and more specifically when it comes to UAVs. 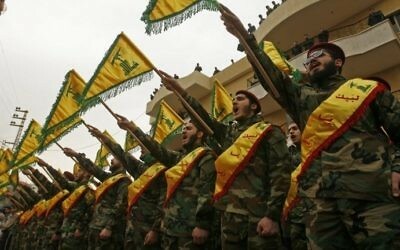 “The Syria war has allowed Hezbollah to develop use of UAVs,” the fighter said. On Sunday, Prime Minister Benjamin Netanyahu, speaking specifically about a Friday morning airstrike by the Israeli Air Force in Syria, said the raid targeted Hezbollah‘s advanced weapons shipments, which Israel has declared a “red line” that it will not tolerate. Cohen spoke more generally about his covert agency’s actions. The internet, he said, has changed the world, bringing more information, equality and other positive elements to those connected to it. But it has also created “frustrations for those who were not invited to the party, leading to extremism,” he said. To combat those challenges, Cohen said, his organization was operating on a multi-year plan, which includes both long-term goals and more immediate missions. The term “soft measures” generally refers to nonviolent means, like psychological warfare, sanctions and cultural influence. Hard measures include such steps as military threats and cyberattacks. 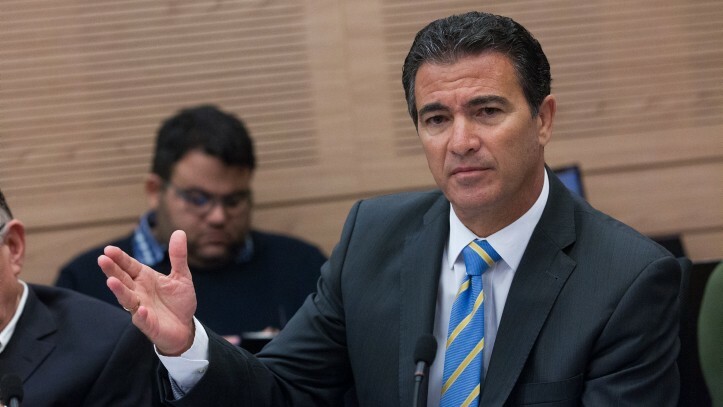 Cohen encouraged improved cooperation within security agencies, between security agencies and internationally, in order to confront the threats facing Israel. Cohen said the country is lucky, in a sense, in that the challenges and threats to Israel’s security are “clear threats,” as opposed to subtle ones.